This article which appeared recently in our local paper The Trenton Times (and originaly in the Star Ledger) profiled a laboratory we work with at Princeton IVF called Reprogenetics. 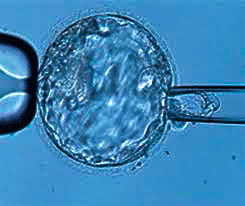 The test they discussed called Array cGH involves removing some cells from embryos created during IVF and testing them to compare the amount of genetic material they contain from each of the chromosomes. It enables us to diagnose disorders such as Down Syndrome and Turner Syndrome, avoid putting back most abnormal embryos and select embryos for gender. In comparison to earlier methods it is a more comprehensive chromosome screening technique. Click here to read the article.